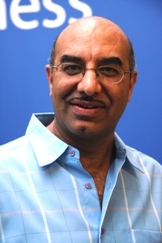 Prof Pervaiz K Ahmed joined Monash University Malaysia in 2007. He is Deputy Head of School (Research), Director of the Global Asia in the 21st Century (G21) and also Director of the Enterprise and Innovation Hub (eiHub). Before coming to Malaysia, Pervaiz held a number of senior academic positions in the UK. Pervaiz has published extensively in international journals. He is a regular keynote speaker and won numerous academic awards for his research. He has served as editor and sat on the editorial boards of several international journals. His research interests cut across entrepreneurship, religion, ethics, and social responsibility. He has extensive experience working with and advising blue chip companies and public sector organizations, such as Unilever, Ford, AT&T, NCR, British Telecommunications, and the NHS in Europe. He has also been involved with corporate clients in Asia such as Malaysia Airlines, CELCOM, Sunway Group as well as government agencies such as the Singapore National Productivity Council. He has also been involved with the Islamic Development Bank as well as the Government of Dubai’s Public Sector Innovation and Improvement Initiative. Recently, he has served on projects commissioned by Economic Planning Unit (EPU), Ministry of International Trade (MITI) and APEC secretariat. Saad, N., and Ahmed, P. K. (2010), Internal Marketing; An Integrated Holistic Model using a Mixed Methodology, Lambert Academic Publishing. ISBN-10: 3838328779, ISBN-13:978-3838328775. Ahmed, P. K. and Shepherd, C. (2010) Innovation Management: Context, Strategies, Systems and Processes, Prentice Hall Publishing (Pearson Group). Ahmed, P. K. and Rafiq, M. (2002), “Internal Marketing: Tools and Concepts for Customer-Focused Management”, Butterworth and Heinemann Press, Oxford, 2002. Ahmed, P. K., Lim, K. K. and Loh, Y. E. (2001), “Learning through Knowledge Management”, Butterworth and Heinemann Press, Oxford, 2001. Anosike, P., Kolade, O. and Ahmed, P. K. (2019), “Entrepreneurship education service and socio-economic development in Sub-Saharan Africa”, in Wambboye E F and Nyaronga P J The Service Sector and Economic Development in Africa, Routledge series in Development Economics, Routledge, New York, pp.131-144. Chong Y. S. and Ahmed P. K. (2018), “When service leads to sin: Exploring service transgression and customer forgiveness in a multi-faith context”, Journal of Service Theory and Practice, 28(4), pp.410-433. Teh, P. L., Lim, W. M., Ahmed, P. K., Chan, A .H. S., Loo, J. M. Y., Cheong, S. N. and Yap, W. J. (2017), “Does power posing affect gerontechnology adoption among older adults?”, Behaviour & Information Technology, 36(1), pp.33-42. Chong Y. S. and Ahmed P. K. (2017), “On happiness, sadness or indifference: Investigating the carryover effect of outcome valence in service perceptions”, Journal of Service Theory and Practice, 27(1), pp.69-86. Au, W. C. and Ahmed, P. K. (2016), “Relationships between superior support, work role stressors and work-life experience”, Personnel Review, 45(4), pp.782-803. Chong, Y.S. and Ahmed, P. K. (2015) “Student Motivation and the ‘Feel Good’ Factor: An Empirical Examination of Motivational Predictors of University Service Quality Evaluation”, Studies in Higher Education. Available online in 2014, and published in hard copy in 2015. Teh, P. L., Ahmed, P. K. and D’Arcy, J. (2015), “What Drives information security policy violations among banking employees? : Insights from neutralization and social exchange theory”, Journal of Global Information Management, 23(1), pp.44-61. Walker, A., Machold, S. and Ahmed, P. K. (2015), “Diversity and conflict in boards of directors: an exploratory study of personality traits”, International Studies of Management and Organization, 45(1), pp.25-42. Inthiran, A., Alhashmi, S. M. and Ahmed, P. K. (2015), “A user study on the information search behavior of medical students”, Malaysian Journal of Library & Information Science, 20(1), pp.61-77. Teh, P. L., Ahmed, P. K. and Tayi, G. K. (2015), “Generation-Y shopping: the impact of network externalities and trust on adoption of social commerce”, International Journal of Electronic Business, 12(2), pp.117 – 141. Anushia, I., Saadat, A. M. and Ahmed, P.K. (2015), “A preliminary study on the usage of search assisting features when searching for a personal health task”, Aslib Journal of Information Management, 67(2), pp.159 – 181. Uddin, M. J., Au, W. C. and Ahmed, P. K. (2018), “Do institutional pressures drive change? Evidence from Bangladesh garment industry”, 78th Annual Meeting of the Academy of Management (AOM), 11-14 August 2018, Chicago, Illinois, United States. Teh, P. L., Phang, C. W., Ahmed, P. K., Cheong, S. Y., Yap, W. J., Ma, Q., Chan, A. H. S. (2017), “Teaching older adults to use gerontechnology applications through instruction videos: Human element considerations”, Human-Computer Interaction International (HCII 2017), 9th -14th July 2017, Vancouver Convention Centre, Vancouver, Canada. Teow, H. H., Au, W. C. and Ahmed, P. K. (2017), “Protean career orientation of generation Y: A social cognitive career theory investigation”, 43rd European International Business Academy Conference (EIBA 2017), 14-16 December 2017, Milan, Italy. Chong, Y. S., Ahmed, P. K., Quek A. H., and Malik, A. (2017), “From R&D specialist to management associate? The role of self-determination in career choice intentions”, Academy of Human Resource Development, 5-7 November, Indian Institute of Management, Ahmedabad, Gujerat, India. Nvinderjit, S., Ahmed, P. K., Chong, Y. S. and Ali, Y. (2017), “Consumers response to brand transgressions: An emerging perspective on religious consumption, American Association of Marketing (AMA) Winter Conference, 17-19 February, JW Marriott Orlando Grande Lakes, Orlando, Florida, United States. Khalid, S., Au, W. C. and Ahmed, P. K. (2017), “Social entrepreneurship & sustainable development in the Kenya healthcare sector”, Poster Presentation at 43rd European International Business Academy Conference (EIBA 2017), 14-16 December 2017, Milan, Italy. Au, W. C. and Ahmed, P. K. (2017), “Effect of work domain support on work-life experience of conflict and enrichment”, 2017 European Academy of Management (EURAM) Conference, 21-24 June 2017, Glasgow, Scotland. Chong Y. S. and Ahmed, P. K. (2016), “When service failure leads to sin: Exploring service transgression and customer forgiveness in a multi-faith context”, Australia and New Zealand Marketing Academy Conference, 5-7 December, University of Canterbury, Christchurch, New Zealand. Teow, H. H., Au, W. C. and Ahmed, P. K. (2016), The role of work engagement in reducing the impact of protean career orientation (PCO) on job/career switching intention, 2016 Academy of International Business Southeast Asia Regional Conference (AIB SEAR 2016): “Connectivity and Prosperity: ASEAN Economic Community and China’s Belt and Road Initiative”, 2-4 December 2016, Guangzhou, China. Rossenkhan, Z., Ahmed, P. K. and Au, W. C. (2016), “Barriers to career success: The unique challenges Muslim women managers face”, The 30th Annual Conference of British Academy of Management (BAM), 6-8 September 2016, Newcastle, United Kingdom. Au, W. C. and Ahmed, P. K. (2016), “Work-life reconciliation in Malaysia: A study of emerging country context”, Work and Family Researchers Network (WFRN) Conference, 23-26 June 2016, Washington D.C., USA. Tan, E. X., Teh, P. L. and Ahmed, P. K. (2016), “Understanding trust transference among social network friends in social commerce”, The 16th International Conference on Electronic Business (ICEB 2015), 4th -8th December 2016, Xiamen University, Xiamen, China. Lim, W. M., Teh, P. L., Ahmed, P. K., Chan, A. H. S., Cheong, S. N. and Yap, W. J. (2016), “En-hancing the sense of power and user adoption in gerontechnology: An experimental investigation of nearfield communication lighting systems”, IEEE International Conference on Industrial Engineering and Engineering Management (IEEM), 4th – 7th December 2016, Bali Nusa Dua Convention Center, Bali, Indonesia. Ho, H. P., Ahmed, P. K. and Teh, P. L. (2016), “Women copreneurs and their path to legitimate entrepreneurial identity”, British Academy of Management (BAM) 2016,6th – 8th September 2016, Newcastle University, United Kingdom. Au, E. Y. L., Teh, P. L., Goonetilleke, R., Ahmed, P. K., Cheong, S. N. and Yap, W. J. (2016), “Does instructional video advertising influence behavioral intention? comparative study between Hong Kong and Malaysia”, 7th International Conference on Applied Human Factors and Ergonomics, 27th – 31st July 2016, Walt Disney World® Swan and Dolphin Hotel, Orlando, Florida, USA. Uddin, M. J., Au, W. C. and Ahmed, P. K. (2016), “Organizational and institutional barriers for welfare-based HRM practices in the exploitative multinational setting: A critical exploratory investigation”, 2016 Academy of International Business Southeast Asia Regional Conference (AIB SEAR 2016), “Connectivity and Prosperity: ASEAN Economic Community and China’s Belt and Road Initiative”, 2-4 December 2016, Guangzhou. Jahari, S.A., Chew, Y.T., and Ahmed, P.K. (2016). Travel behaviour of Malaysian Muslims to non-Muslim countries. Presented at 45th European Marketing Academy Conference (EMAC), 24-27 May, Oslo, Norway. Chong Y. S. and Ahmed, P. K. (2015), “Transgressions of halal-certified service providers: An exploration of consumer forgiveness and responses among Muslims in Malaysia”, Academy of Marketing Conference, 7-9 July, University of Limerick, Ireland. Chong Y. S. and Ahmed, P. K. (2015), “The ‘great good place’ on campus? : Examining the transference effect of outcome valence in academic and retail service perceptions”, 6th International Research Symposium in Service Management, 11-15 August, UiTM, Sarawak, Kuching, Malaysia. Chong, Y. S., Ahmed, P. K., Quek, A. H. and Tham, Y. Q. (2015), “An interpretive phenomenological analysis of career choice in science: Evidence from Malaysian undergraduates”, The Asian Conference on Psychology & the Behavioral Sciences Conference Proceedings, 26-28 April, Osaka, Japan. Teh, P. L., Joseph, S., Ahmed, P. K., Chan, A. H. S., Cheong, S. N. and Yap, W. J. (2015), “Technology adoption factors for older adults: An exploratory gerontechnology study”, The 15th International Conference on Electronic Business (ICEB 2015), 6th -10th December 2015, Hyatt Regency Hotel, The Chinese University of Hong Kong, Sha Tin, Hong Kong. Lim, W. M., Teh, P. L., Ahmed, P. K., Chan, A. H. S., Cheong, S. N. and Yap, W. J. (2015), “Are older adults really that different? Some insights from gerontechnology”, IEEE International Conference on Industrial Engineering and Engineering Management (IEEM), 6th – 9th December 2015, Suntec Singapore Convention & Exhibition Centre, Singapore. Au, W. C. and Ahmed, P. K. (2015), “Sustainable human resources practices in malaysian small firms: Does employees’ work-life balance matter?”, European Academy of Management 15th Annual Conference, 17-20 June 2015, Warsaw, Poland.